You have to admit, technology does make our lives easier. 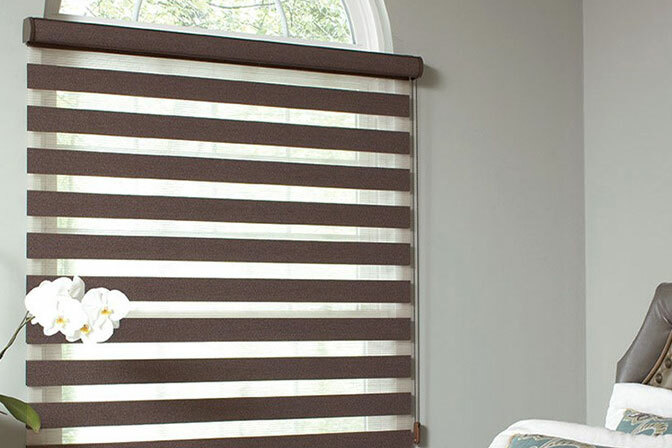 So why not make controlling your shades effortless? The Pebble Remote is a handheld device that can operate up to 6 shades. You can operate them all at once or one at a time. The remote is available in a variety of colors, as well as two face colors to choose from, black or white. The Pebble Scene Controller is very similar to the Pebble Remote, but features a display screen that allows you to preview and select the shades in your rooms. You can operate a combination of shades all at once. Available in the same remote control colors as the Pebble Remote. The Surface Remote is mounted to the wall for easy access. If you’re concerned about losing your remote, this option is perfect for you. Available in 3 stylish colors.  The PowerView app allows you to operate your shades on your smart phone or tablet. 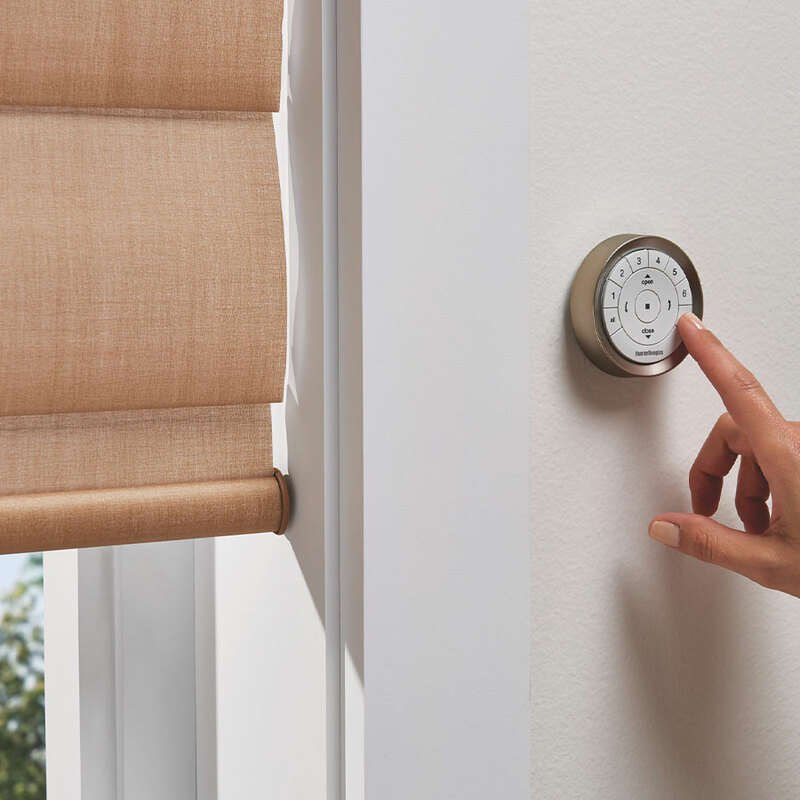 You can set schedules that will operate the shades throughout the day without you even touching it. If you want your shades to raise up at sunrise, link your scenes to local sunrise times, and every morning the shades you’ve set will raise! It’s like magic! Available on Apple and Android devices. 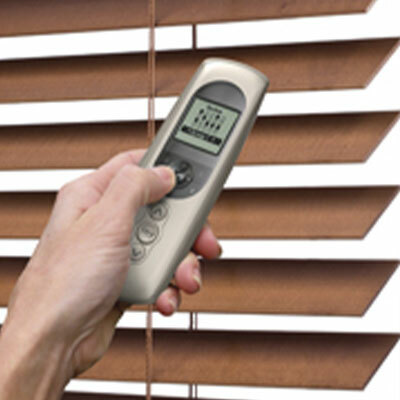 The handheld remote can operate up to 5 shades, all at once or individually. The remotes come with a wall-mounted holder. A 6-channel timer remote is also available and allows 18 different scheduled actions. Simplicity also offers rechargeable option. 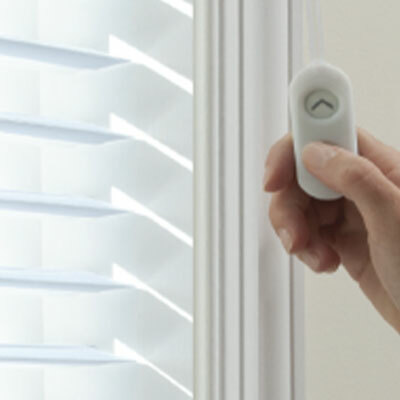 PowerTouch features a wand attached to the shade that allows you to raise and lower the shade by holding the button. 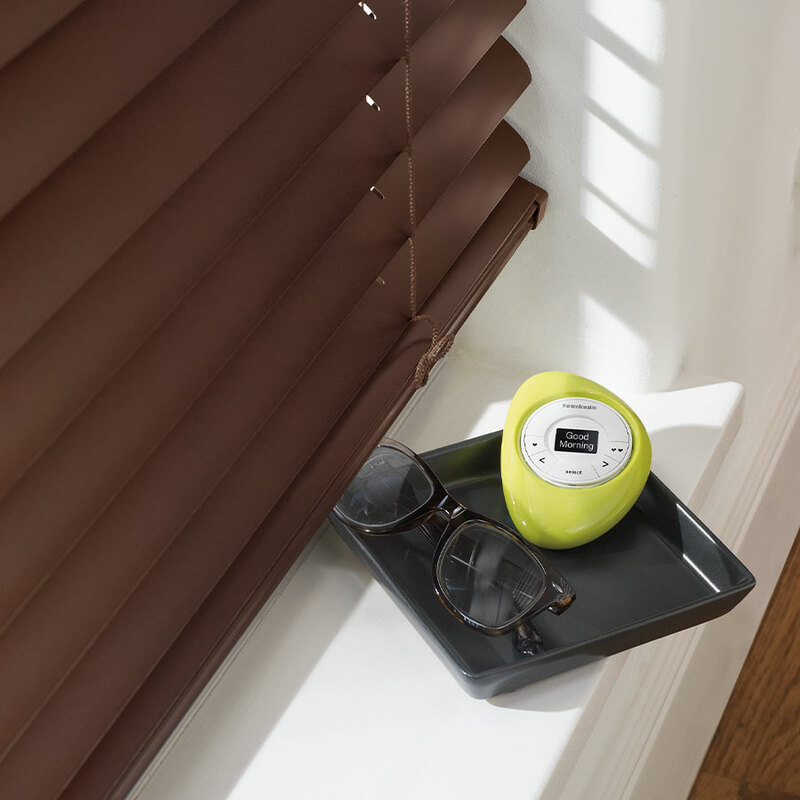 PowerTouch Rechargeable features a wand attached to the shade that allows you to raise, lower, and stop the shade with the touch of a button. 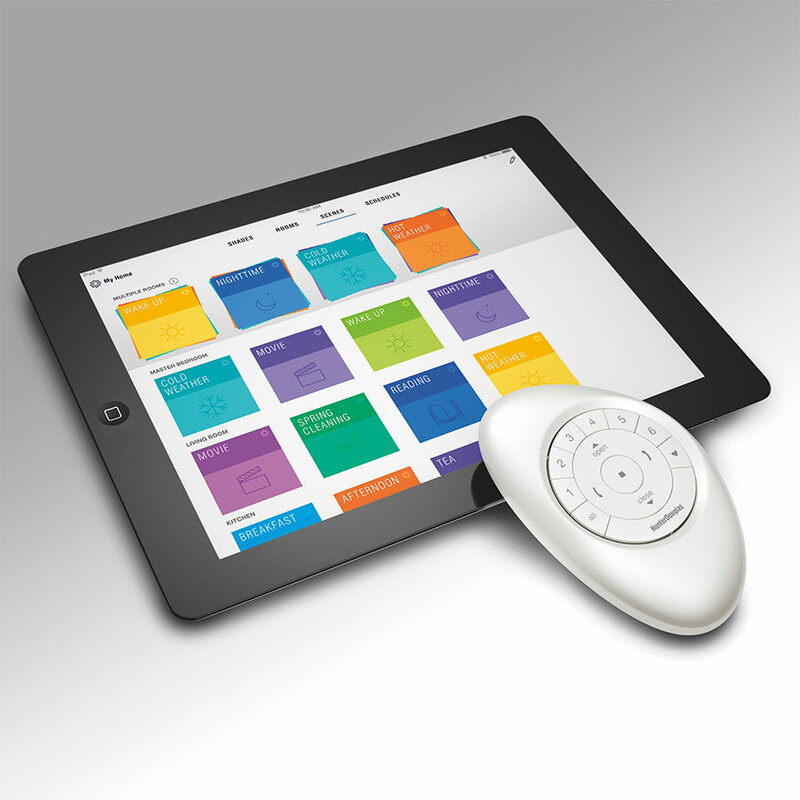 Simplicity Smart Controller is a small device that allows you to operate your shades straight from your phone. 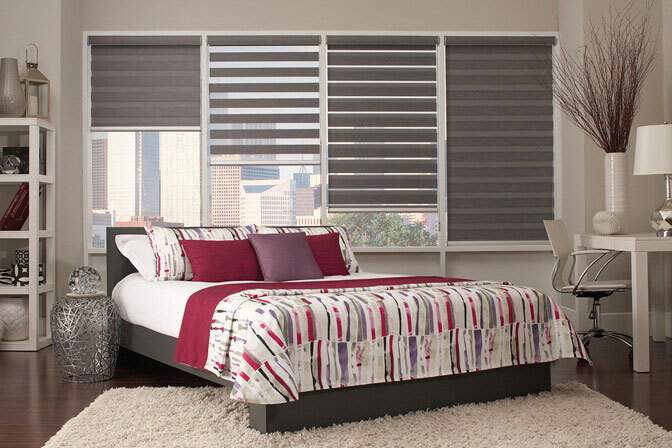 You can set schedules so your shades will automatically raise or lower at the time you set. Simply plug it in and connect it to WiFi. 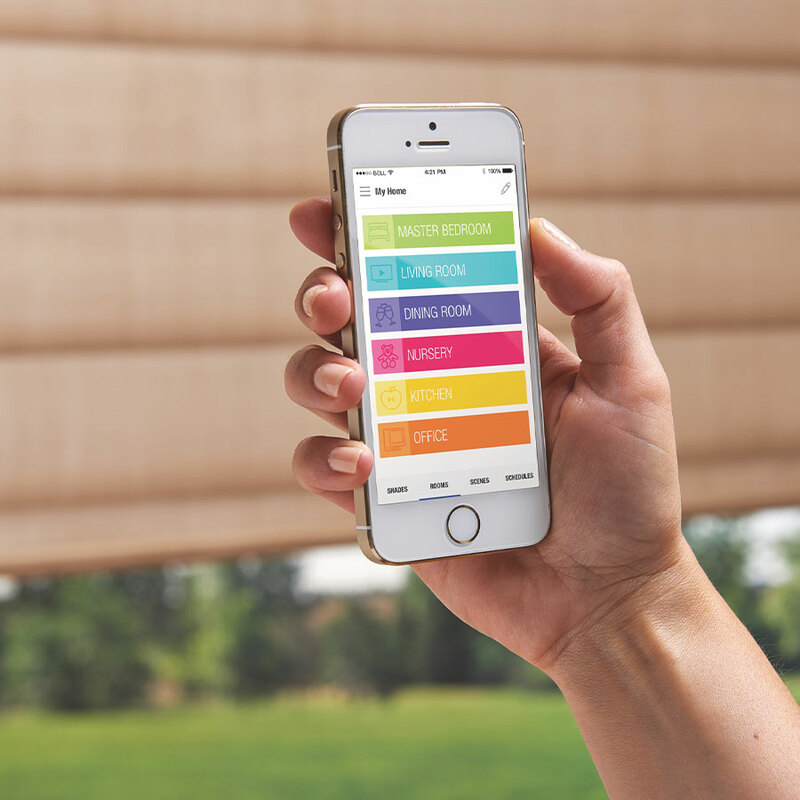 It is powered by the NEO Smart Blinds App available on Apple and Android devices. 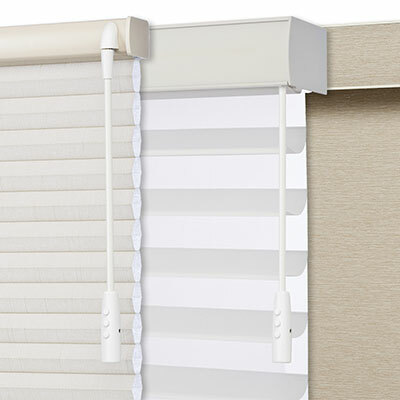 SOMFY motorized blinds allow to tilt the slats open or closed. You can combine motorized tilt and cordless lift to eliminate all hanging cords completely. 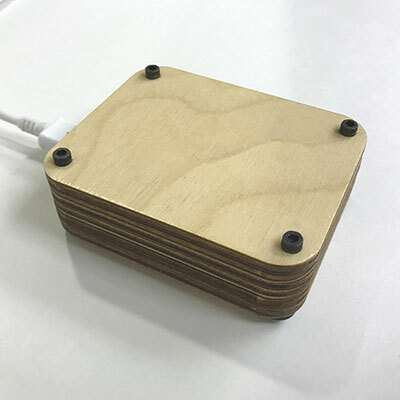 EZ Charge is a battery-operated motor with a remote control. 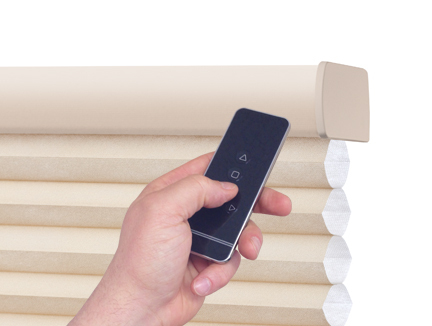 The remote can operate up to 5 shades, all at once or individually. Auto Wand is a battery operate motor with wand control. The wand is attached to every motorized shade and operates them individually.